A few weeks back Chris and I were helping Alexandra House buy numerous bottles of wine for the Hope Gala fundraiser. 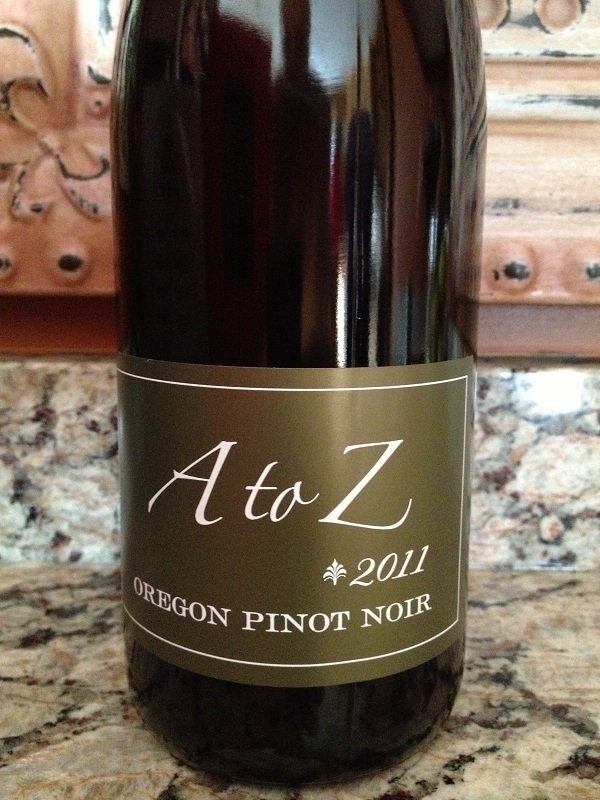 As were were shopping at the Maple Grove Costco we came across a bottle of 2011 A to Z Oregon Pinot Noir. In a few weeks Nectar was going to host a wine dinner with Sam Tannahill, Director of Viticulture & Winemaking at Rex Hill and A to Z Wineworks. Since we had not tried an A to Z wine we decided to purchase a few bottles for Alexandra House and bought a bottle for ourselves. A few weeks later we attended the dinner and loved the wine (of course Kevin did an excellent job pairing his cuisine with the wines.) To read more about the wine dinner click this link A to Z Wine dinner. Five: There are no set rules for pairing food and wine. Drink a bottle of your favorite wine with your meal. You will be happy you did! Once Chris had most of the meal ready I decided to open the bottle. 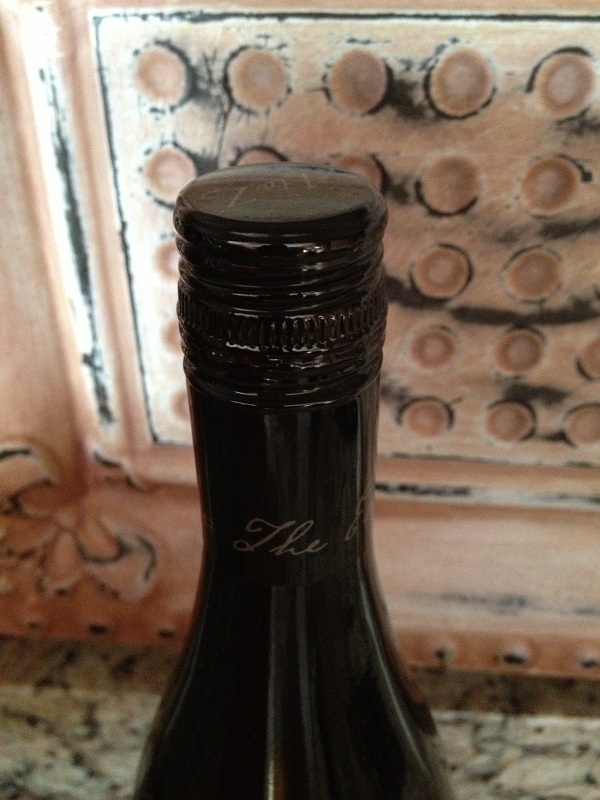 It was a screw top so I didn’t even need my cork screw! This keeps the cost down per bottle. 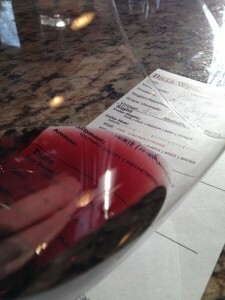 The Pinot Noir was aromatic and young. I could smell Raspberry, Vanilla, and Red Cherry. Not dry at all. 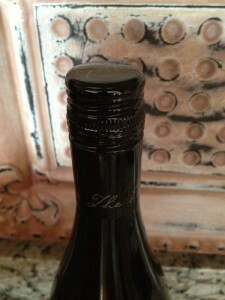 The Pinot was medium bodied and flavorful and it was slightly tart. I did not notice any tannins and the wine was soft. I noted Red Cherry and Spice. The finish was long and to me, it was more old world than a California Pinot Noir. We both liked it! I rated the 2011 A to Z Pinot Noir three glasses. For the price you cannot go wrong and I recommend you buy this one if you see it at your local Costco!